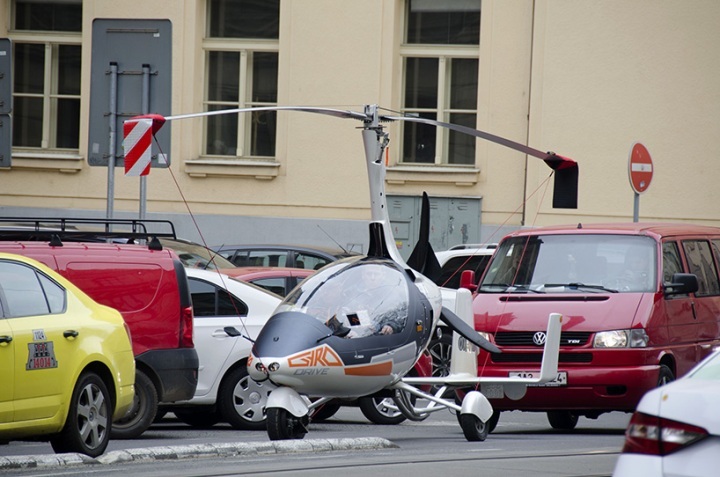 A Czech based Helicopter Company, Nirvana Autogyro has successfully created the Gyrodrive, which you can call a mini heli that you can drive on the street. It is officially the world’s first street legal “flying car.” Although there are other developments and several other aero companies in the business of making flying cars a reality with even some working prototypes on display, this one is the first to become legal to drive on the roads freely and fly the skies with freedom. Developed by Pavel Brezina, owner of Nirvana Systems and a specialist in the aviation industry with more than 25 years experience. The two-seater vehicle is said to reach speeds up to 25 mph on the ground 110 mph in the air. “This is the only road certified flying vehicle I know about,” Brezina told AFP in a hangar at the Prerov-Bochor airport in the eastern Czech Republic. “Everyone is trying to make a high-speed car that can fly, but this is a different thing,” said Brezina. His GyroDrive vehicle is based on a gyroplane, a mini-helicopter, that uses a copter-style rotors to move up and down, and an aeroplane-type “pusher propeller” to go forward. 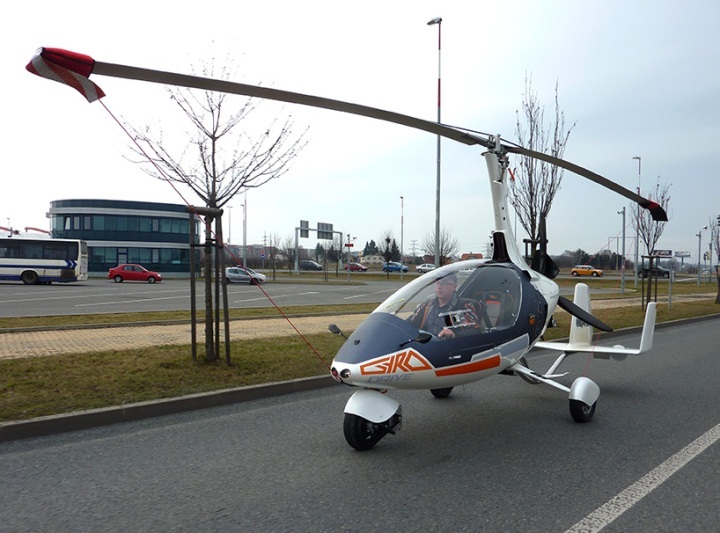 Brezina’s company buys gyroplane kits from a German firm, and then assembles and equips them with a system allowing the pilot-driver to switch between a petrol engine propelling the rotors and an electric engine that drives the wheels. It needs less than 100 meters (110 yards) to take off and reaches a top speed of 180 kph in the air, with a flying range of 600 kilometers, according to CTGN. 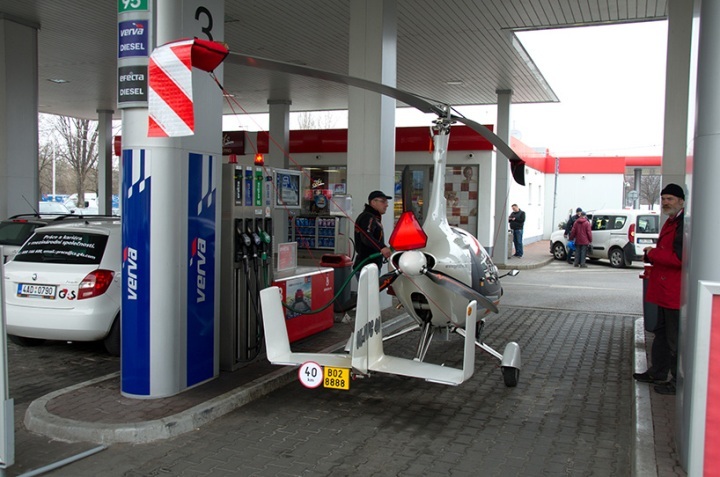 Further, after landing, the pilot only has to fix the main rotor blades along the axis of the GyroDrive and pull out a built-in licence plate to transform it into a road vehicle. With an estimated starting price of about $63, 000, the GryoDrive may certainly not be for everyone, but could turn out to be an important transport means in the nearest future.